Continuing our ongoing series: Bob Dylan’s television commercials, or, The Nation’s Media Critics Freak Out for Nothing During a Boring Super Bowl Blowout, I bring you Bob Dylan’s first ad for Chrysler, the one that came seven years before the great freak-out of 2014. 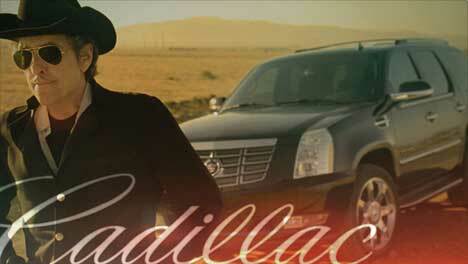 In 2007 he appeared in this Cadillac ad, which also promoted his XM Radio show, Theme Time Radio Hour. Win win. Oddly, not a Dylan song but “Held” by Smog (Bill Callahan). Not much of an ad, not much of a Dylan spot either. It’s mostly just shots of an arid desert with decaying symbols of an old, lost America. Dylan, in black leather driving gloves, guides his Escalade around an oil tanker, gets out and stands in the breeze and speaks his single line. The end. Completely unmemorable, didn’t make me want to buy an Escalade (and I live in a city where lots of people drive them….). Oh well, let’s move on. I like it. It makes me no more and no less likely to buy a Cadillac Escalade (present likelihood: 0%), but it’s a nice blend of visuals and music and a decent, albeit nonsensical, tagline (what’s driving a Cadillac have to do with detours?). 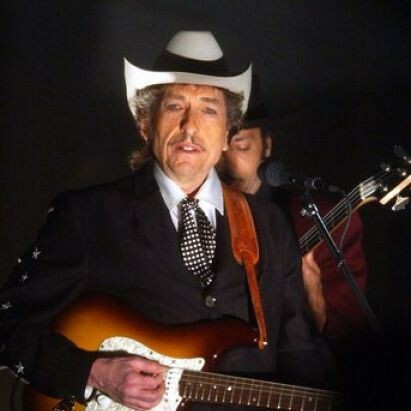 If it were some grizzled guy from central casting instead of Bob Dylan, I wouldn’t care one way or the other. But that’s true of Dylan’s albums as well.